What Are the Reasons for Smart Meters When Analog Meters Were Safe? This is an article about the Smart meter “debate” applicable to consumers in the USA. Exactly the same issues, except that the potential danger of starting fires is probably higher there. It would be interesting to discover if any Australian government, authority or power company members use their influence to also opt out from the program? A few extracts to provide the “gist”, the complete ‘Activist Post‘ article is linked HERE. We still await justice in Australia, as the same issues of safety, mainly radiation, apply here. 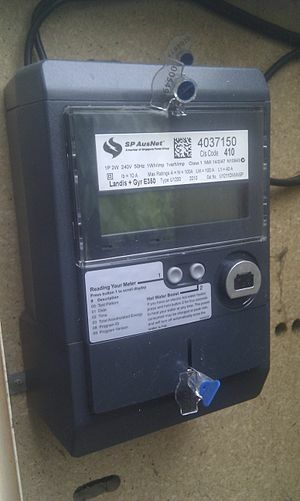 Mandatory installation of Smart meters is not justifiable except for political reasons which override any consumer concerns of health, privacy, susceptibility of electronic failures, incorrect bills, hacking and accidental or deliberate power disconnections. This entry was posted in AGENDA 21, AUSTRALIA, ENVIRONMENT, radiation, World Issues and tagged Australia, EMR RF radiation dangers, ENVIRONMENT, Public health, Smart Meters, US Smart meter concerns. Bookmark the permalink. 2 Responses to What Are the Reasons for Smart Meters When Analog Meters Were Safe? A few years ago I spent about 10 months reading UN documents, mostly older ones because those were the foundation docs that have been built upon. Unfortunately, I haven’t been able to locate the doc again, but in it the UN wanted somebody to come up with a way energy produced in A nations could be redistributed to B and C countries. That was the gist of what it said and it took me several days to actually extract that meaning from the text b/c the UN is very good at wording things in such a way as it all seems so benign and well-meaning. Hope I can post links. Oh, and this was the best part. The UN feels it must be in control of this system because it is unbiased and will ensure every country/person has just the right amount of enrgy needed to maintain a healthy economy and living conditions. I betcha anything that UN officials, politicians and everyone else privy during the development stage of SM tech have made blistering amounts of money b/c they knew where to invest. Wouldn’t doubt, either, that investment in mobile phone/SM tech isn’t also a part of Vic gov pension portfolios but there isn’t an investigation journo out there who could… or would… look into that. Somebody’s making a lot of money off this dirty tech, and it ain’t the folks who’ve been manipulated into having it. All the evil on this planet can somehow be traced to the UN.